DAYANG have been break up RM2.10 resistant level. 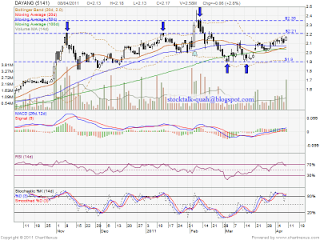 Next resistant should be RM2.21 & RM2.35 level. 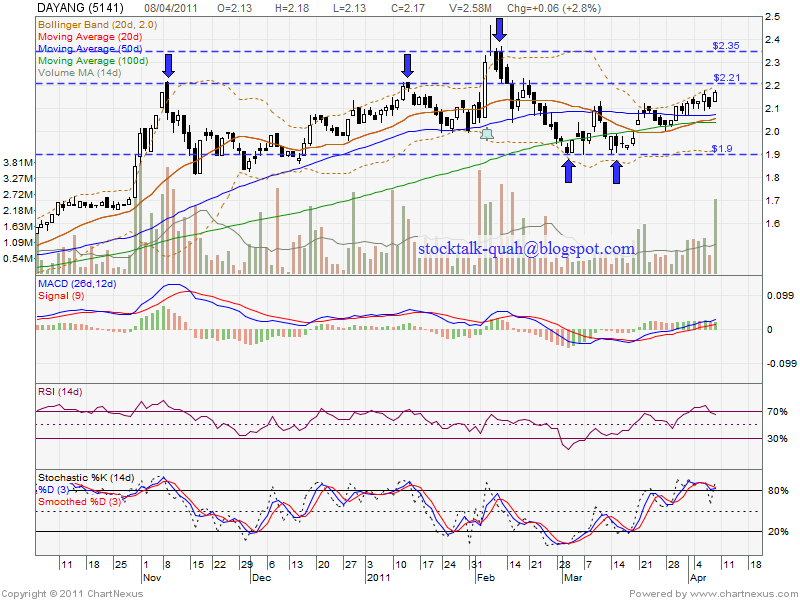 However, if retrace down, MA50 / MA100 is current support level, which is RM2.07 / RM2.04 level. Next support would be RM1.90 level. MACD is moving toward positive region, uptrend sign.